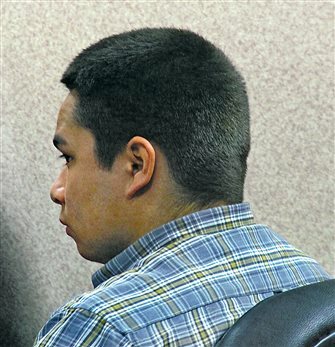 A former Eagle River man, Jeremiah Solis, entered a no contest plea to one count of homicide by negligent handling of a dangerous weapon in Vilas County Circuit Court last Thursday. The town of St. Germain will hold two informational meetings on the proposed $2.6 million remodeling of the Red Brick Schoolhouse. A multi-county Veterans Benefits Expo will be held this Friday, April 26, at the Army National Guard Armory, 1136 Adams Way, Rhinelander. The expo will run from 8 a.m. to 4 p.m. 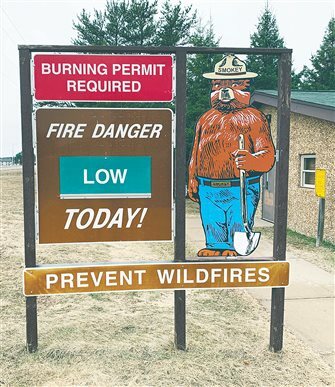 While spring is much-welcomed after a long winter in the North Woods, seasonal warm and dry conditions can result in increased wildfire activity. A plan to guide outdoor recreation in Wisconsin over the next five years is now available. The Northland Pines softball team faced Lakeland in a Great Northern Conference game last Thursday, with the T-Birds coming out on top 12-0. Tickets are still available for world-class illusionist Reza Borchardt, who will bring his “Edge of Illusion” tour to the Northland Pines High School auditorium Saturday, May 4, at 7:30 p.m.
Plans are in the making for this year’s Relay For Life event that will take place Saturday, May 18, from 3 to 7 p.m. at its new location at the World Championship Derby Complex, and participants are reminded that luminarias for the Luminaria Ceremony are now on sale. The Northwoods School of Dance will perform its annual Spring Recital this Saturday, April 27, with shows at 1:30 and 6 p.m. in the Northland Pines Middle and High School auditorium. When the county fair rolls into town, one can almost feel the buzz of excitement and electricity as the giant arms of steel are erected, the lights flicker on, the machines creak to life and the plant and animal exhibits start arriving.